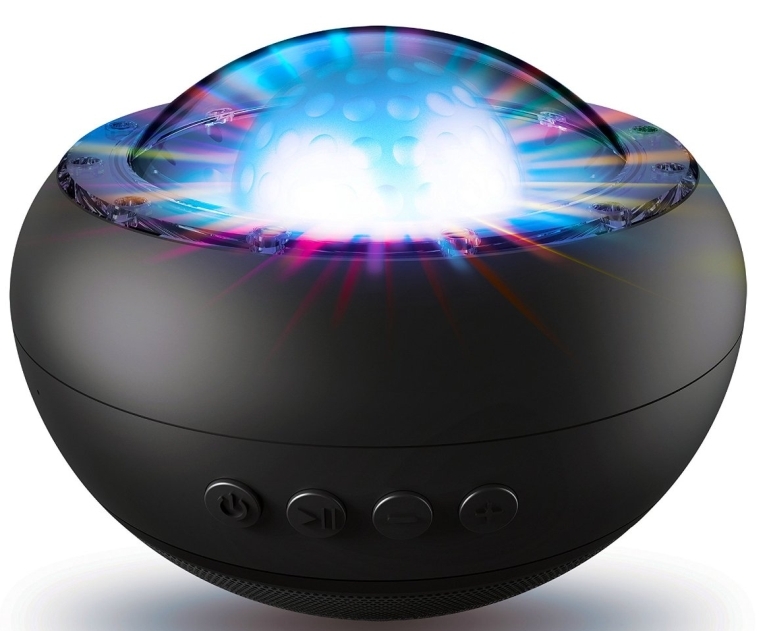 Turn an ordinary gathering into a smashing success with the Floating Party Speaker from Sharper Image. This waterproof speaker floats in pools and hot tubs, blasting your playlist above the water and blinking brilliant responsive LED lights below. Done with the pool? Keep the party going by removing this Bluetooth speaker from the water, drying it off, and flipping it over onto a table or deck. Take the Floating Party Speaker anywhere: its rechargeable battery lasts for hours of use indoors or outdoors without needing to recharge.